Increasingly, couples are challenging mainstream culture’s fundamental rules about intimate relationships and bringing different kinds of questions into therapy. 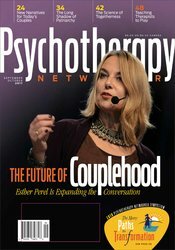 This issue looks at new perspectives and concerns in the field of couples therapy, including a wider cultural discussion around alternatives to traditional marriage, a resurgence of unhealthy notions of masculinity, and a second wave of systems theory and therapy that marries the wisdom of clinical intuition with the rigors of scientific inquiry. Other articles include tips on including athlete-clients in your clinical practice, a case study on teaching parents to earn their children’s respect, and a call to give play therapy the fuller attention and expanded application that it deserves. Describe Real’s ideas view of traditional gender roles for couples. 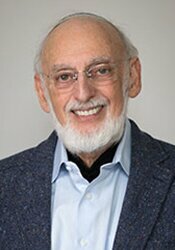 Explain the Gottmans’ perspective on the need for scientific inquiry in couples therapy. Articulate Lender’s approach to using play in therapy with children. 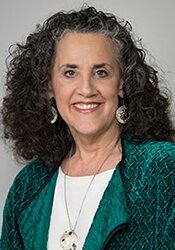 Mitchell Greene, Ph.D., is in private practice in Wayne, Pennsylvania.